1) First Login to CFMS. 2) Check your Beneficiary Account Statement. 3) See and Remember Your Bill NO. 4) Now Go to Website cfms.ap.gov.in (No need login). 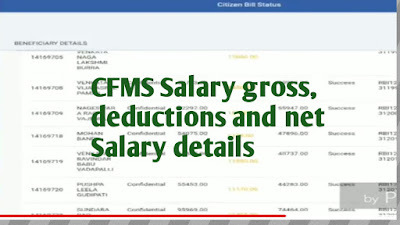 5) Search Citizen Services and click on Expenditure Links. 6) Click on Bill Status. 7) Enter first box Year & 2nd box Bill No. 8) Now Opened Total Beneficiary List. 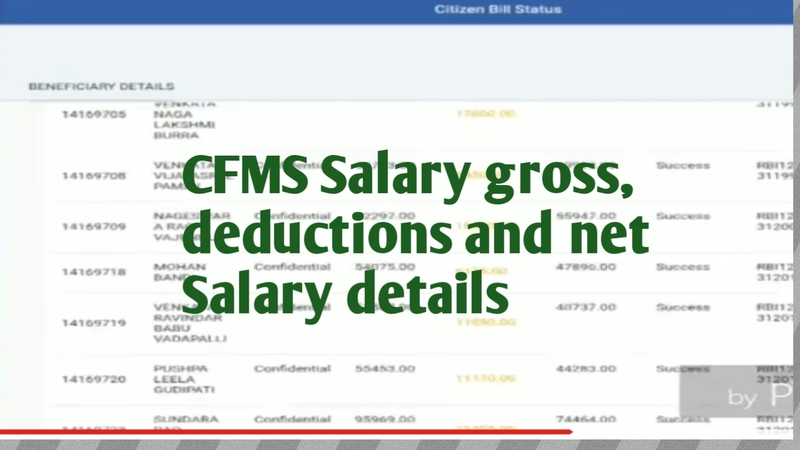 9) Search Your Name and See Your Gross, Deductions & Net. 2. Enter Your CFMS ID. 3. Select Date From Date to To Date. 5. Now Open Your Salary Statement. 1. Now This option is not enabled in CFMS. 2. Please Know Your Salary Details “YOUR FRIENDS LOGIN ALSO”. 3. Enter Your CFMS ID (Beneficiary ID) in the place of Your Friend ID. Click Above CFMS Login Link. Password Your CFMS ID. (Note: CFMS ID & PASSWORDS ARE SAME for New Users). Change Password Option is opened. Now Login, and Check Your Salary Details. 5. Now Opened Your Statement. 1. Select Desktop site/Desktop view in Chrome Browser at Top Right Corner. 2. Follow Above 5 steps Same to Same. 4. Now Choose Print Option. 5. Select Page A4 and Mode Landscape. 6. Select Save as pdf.